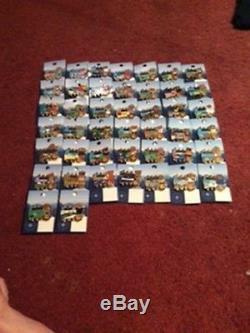 Hard Rock Café 2015 NATIONAL PARK BEARS COMPLETE SET of 44 PINS Mint Condition all on backing cards. The item "Hard Rock Cafe 2015 NATIONAL PARK BEARS 44 PINS Complete Set" is in sale since Monday, June 18, 2018. This item is in the category "Entertainment Memorabilia\Music Memorabilia\Rock & Pop\Artists H\Hard Rock Café\Pins". The seller is "looneytunes329" and is located in Lemont, Illinois.